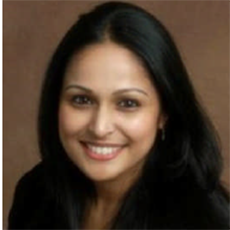 Samar is a director with PwC’s Export Controls and Trade Sanctions Services practice. She specializes in providing export compliance solutions for companies around the globe. She works with clients in the high technology, industrial products, energy, Aerospace and Defense, and other sectors, assisting companies with understanding their obligations with respect to the U.S. export regulations including the ITAR and EAR. Samar provides management and operational level support related to export compliance, including development of processes and procedures, screening, export classifications, licensing determinations, and government reporting requirements related to the exportation of hardware and software products, electronic equipment, chemical products, and other commodities that are either specifically designed for use with defense articles or have dual-use applications. She also has extensive experience in delivering technology solutions and implementing risk management compliance programs. She has a proven track record for delivering high quality results, maintaining and developing excellent client relationships, and providing innovative and creative solutions to meet client expectations. Samar advised and supported multiple U.S.-based multinational companies that have entered into a consent agreement with the DDTC. As a part of these engagements, she managed ITAR compliance assessments at multiple sites providing recommendations based on the U.S. State Department guidelines and industry practices. At the end of each of these engagements, the clients were able to meet the terms of their consent agreements and improve their overall state of compliance. Prior to joining PwC, she provided technology operational support for a leading quasi-governmental space technology organization. Samar holds a Bachelor of Computer Information Systems from California Polytechnic State University.